If everything goes well, you should see "Input message: Hello world!" in the terminal. 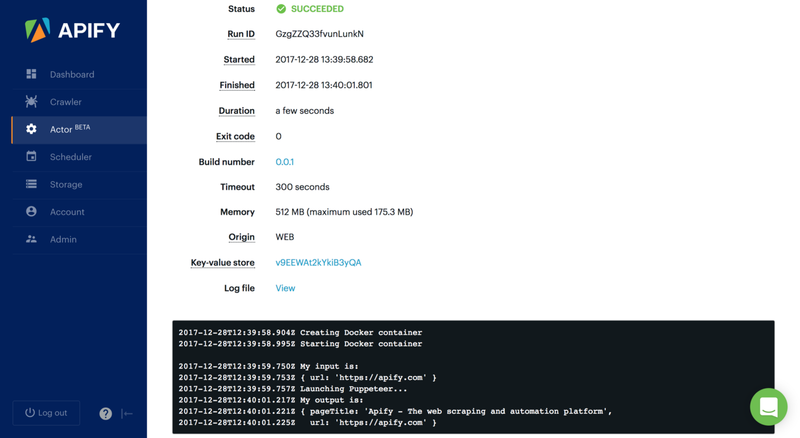 This means that you have successfully run your first actor on your local machine! The above code opens a Chromium browser for 30 seconds and loads http://example.com. 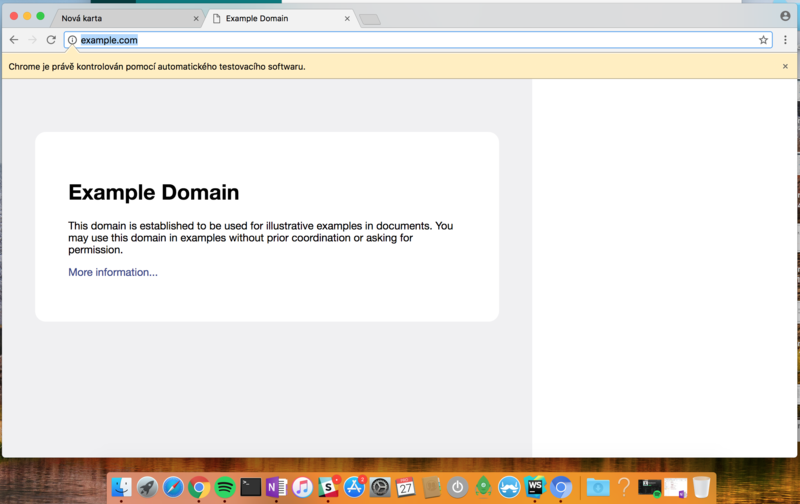 This is useful to ensure that you can open the browser locally. Now let's make the actor accept the URL to open as its input. 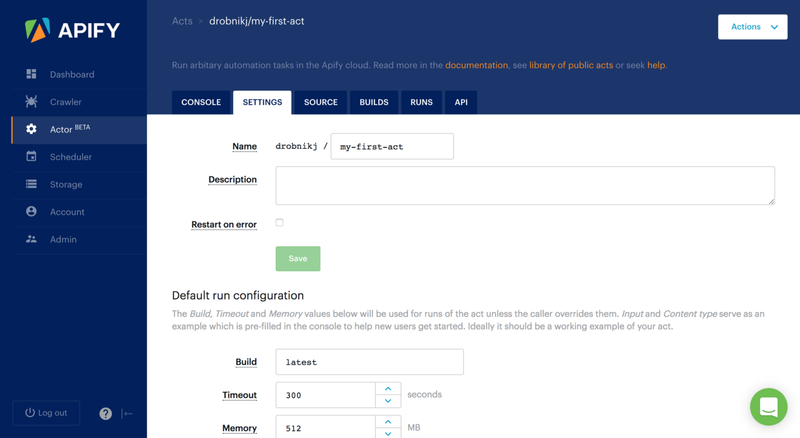 An actor can have its input and output, which is stored in the Apify key-value store, created automatically for each actor run. 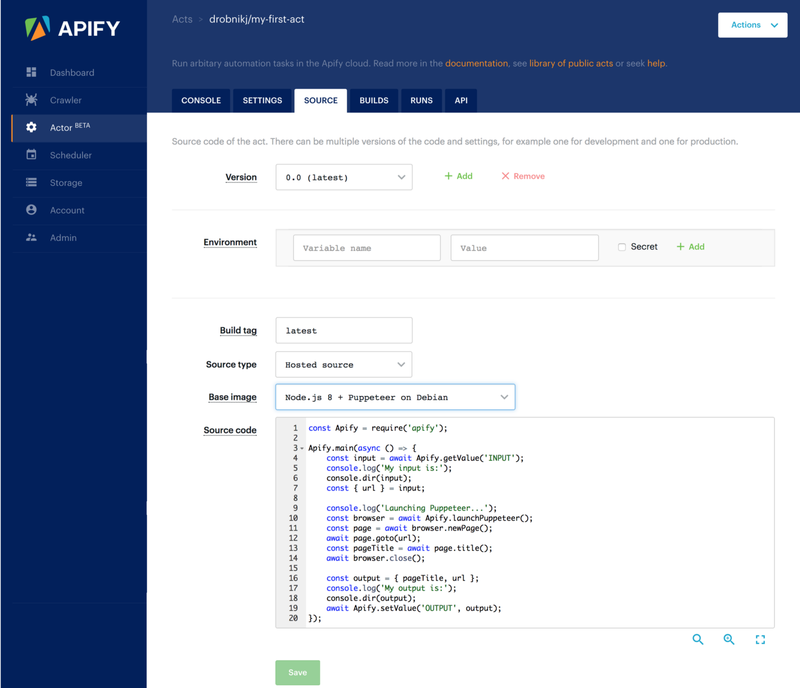 You can access the values from the store using the Apify.getValue() and Apify.setValue() functions. To emulate the key-value store during local development, it is possible to use the APIFY_DEV_KEY_VALUE_STORE_DIR environment variable. The quick-start actor defines this environment variable in the package.json file as ./kv-store-dev. For more details, read here. Now it's time to move your actor to the cloud 🚀. First of all, go to the Apify app and log in to your account. Then go to the "Actor" section in the left-hand menu and create a new actor by clicking the Create new button. Set the actor name and click the Save button. Go to the Source tab where you can write your code. To keep the tutorial simple, choose Source type: Hosted source and just copy & paste the code from main.js into the Source code editor. The Base image needs to be Node.js 8 + Puppeteer on Debian, so that Puppeteer will be available. Click the Save button to save all your changes. 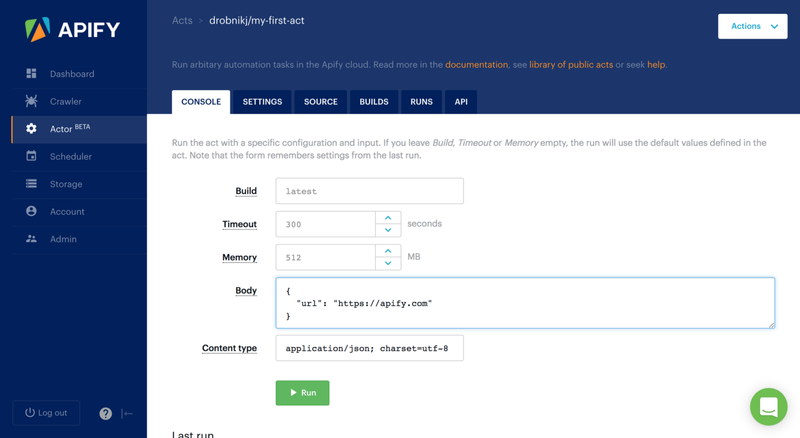 Before you can run the actor, you need to build it by pressing the Build button. The actor can also be started via the Apify API. Go to the API tab to see the corresponding API endpoints. And that's it, your first actor is ready!